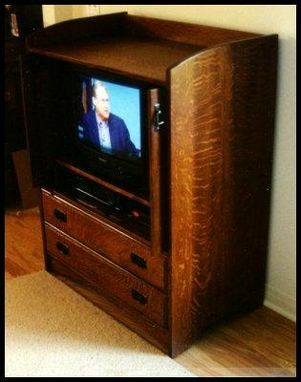 Television and stereo cabinets designed specifically for the craftsman style home. 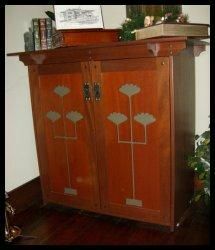 Design influence ranges from classic craftsmen such as Gustav Stickley, Limbert and the Roycrofters to FLW, C.R. Mackintosh, and the Greene Brothers. 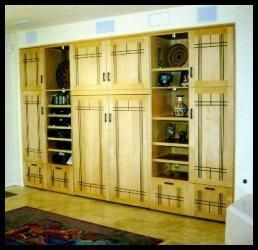 These units are typically designed as one of a kind pieces built specifically for your home. Features include solid hardwoods, mortise & tenon joinery, hammered copper hardware, and handcrafted doors. Specialized stereo racking systems and TV hangers. See our website or call for more details.